At NatWest Markets we put our customers at the center of the way we do business, so working with us is easy and rewarding. We are organized around providing the right solution to meet our customers’ needs. We anticipate emerging issues and provide depth of insight and innovative ideas while genuinely integrated, cross-product teams provide holistic, customer-centric solutions and our automated execution provides a seamless customer experience. 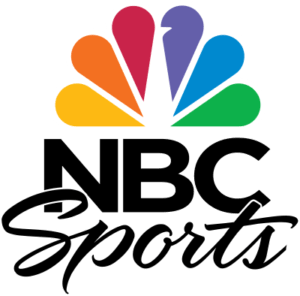 The NBC Sports Group brings the greatest moments of sports history into millions of homes across America every year and leads the world with the very best in sports coverage. Our portfolio contains NBC Sports, NBC Sports Network, Golf Channel, NBC Sports Regional Networks, NBC Sports Radio, NBC Sports.com and NBC Olympics. From top-rated NBC’s Sunday Night Football to decades of the Olympic Games, the NBC Sports Group is devoted to providing up-to-date coverage for our audience. Stamford is Connecticut’s third largest city with a population of over 129,000, which is expected to become the second largest city in the state by 2019. Stamford has an impressive number of corporate headquarters, three of which are 2018 Fortune 500 companies, and eight are Fortune 1000. The dense number of corporate headquarters is unrivaled in the state, an incredibly uncommon achievement for a city of its size. Stamford is a city rich in cultural diversity that features a rapidly growing tech startup community, a strong healthcare system, top-tier schools, an unemployment rate well below the federal and state level, and residential options for all ages and income levels. Robinson+Cole, an Am Law 200 firm serving regional, national, and international clients from nine offices throughout the Northeast, Florida, and California. Our 200-plus lawyers and other professionals share a simple, common goal: We want to know you, your industry, and your business so that we can provide the service and representation that fits your needs. Powerful HR solutions with exceptional follow-through. 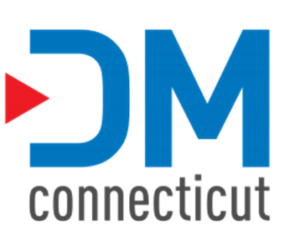 We are Connecticut’s strategic venture capital arm and the leading source of financing and ongoing support for innovative, growing companies. See who we help, the many ways we can support you, and the partnerships you can forge as your company grows. We are honored to be the chosen law firm of clients ranging from Fortune 100 companies to mid-market and emerging growth companies to individual people. When our clients do great things, we are pleased to get the assist..
Our mission is to create conversations in our community about global affairs and America’s role in the world. Our local organization, serving Fairfield and Westchester counties, was established in 1946 in response to the founding of the United Nations. We are a non-partisan, non-profit organization serving over 500 members and the larger community through a variety of quality programs. We bring the best thinkers, writers and policy makers involved in world affairs to our audiences through approximately 30 events each year. Leading Counsel for Technology and Luxury Product Companies. We Specialize In Patent and Trademark Law. At Half Full, we believe it’s always best to look on the bright side. We believe the present is a gift, to be cherished and enjoyed, while the future is ours, to pursue whatever we wish. We celebrate the risk takers, the dream makers, the adventurers and “who says we can’t” sayers. We believe optimism is a movement capable of changing the world, and that it’s the duty of all of us to inspire and challenge those around us to release the good that comes from free-flowing positivity, passion, and fun. CTNext, a wholly-owned subsidiary of Connecticut Innovations, is a network of passionate people who offer services to busy entrepreneurs. Launched in 2012, we’re now more than 1,500 members strong. We support the success of companies and entrepreneurs by providing guidance, resources, and networks to accelerate their growth. SquareWheel is a digital-focused, full service marketing agency. We help growth-minded companies utilize the full power of content, automation, and conversion. SquareWheel is the primary marketing strategy and execution partner and is a proud in-kind sponsor. Since it first opened its doors at the end of the 19th century, The Ferguson Library has been the heart of the Stamford community, a place of learning and education, a gathering place where people could meet and exchange ideas. Sometimes even a place to come in out of the cold for a while. As Stamford grew and changed, The Ferguson Library grew along with it. In 1911, The Ferguson became a free public library, embracing the concept that knowledge should be available to all, regardless of ability to pay. The Ferguson now serves nearly a million visitors each year, and countless others access our online services. But our core values haven’t changed. The commitment to supporting lifelong learning, and providing free and equal access to information is still at the heart of our mission. 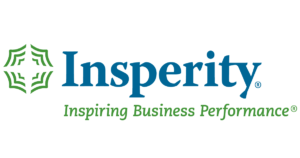 A Consulting/Advisory firm operated by experienced Senior and C-Suite Executives providing clients with the leadership and guidance essential in designing and implementing disciplinary strategies needed for client company’s growth and sustainability. We teach the skills you need to jumpstart your journey as a developer. Our “Micro-Degree” is structured as 8-week courses plus an additional 2-weeks per course that you will dedicate to your final project with the help of your instructor, mentors, and classmates before presenting it to the Crashcode community. Our courses are offered at Beginner, Intermediate and Advanced levels and focus on the fundamentals of programming for the web, up to launching rich web applications. At Crashcode, you’ll learn to solve problems with code, while applying industry best practices in a supportive, collaborative environment. Located in the heart of downtown Stamford, Stamford Town Center caters to every customer by offering a mix of retailers and services. DANGER GALLERY IS THE EXPERIMENTAL ART SPACE AND STUDIO OF VISUAL ARTIST HOLLY DANGER, LOCATED IN THE GLENBROOK INDUSTRIAL PARK IN STAMFORD, CT.
With 12 gardens and hundreds of new species to discover, the Bartlett is a living classroom for people of all ages to experience and enjoy nature. Whether you are looking for an enchanting environment to discover, exploring the grounds with a four-legged friend, researching a particular variety of plant, or attending one of our events here’s what you need to know about visiting the Bartlett Arboretum & Gardens. Great things come in 3x. 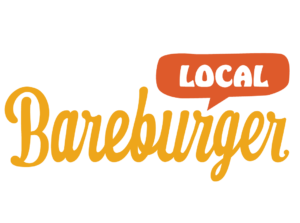 At Bareburger we take a simple, joyful, and organic approach to food. Fresh, vibrant, clean ingredients make for good food, and good food enjoyed in a fun and happy space can make your corner of the world just that much better. We take as much pride in preparing and cooking our food as we do in getting to know the farmers who grow it. We cook fresh, and we serve fresh. So whether you are health-conscious, environmentally conscious, or simply love great grub, we’ve got something on our menu that will make you smile. Cask Republic is a neighborhood restaurant serving upscale tavern fare. Our quality menu selection along with our premium beverage selection will make you genuinely enthusiastic to call Cask Republic your home for good times. 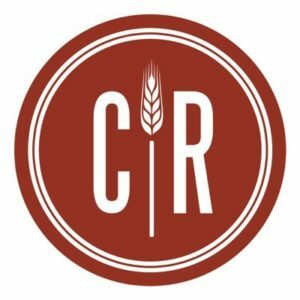 While the vibe at Cask Republic is inviting and fun, our restaurant offers our guests serious chef-crafted American fare as well as creative interpretations of globally inspired dishes. The basic dining philosophy is creating comfort-inducing food using the highest quality ingredients and serving it in a comfortable and welcoming setting. 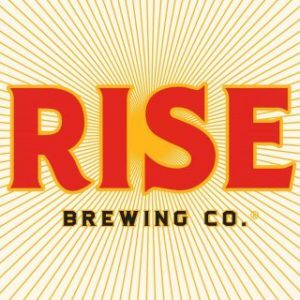 Our extensive beverage program offers a carefully curated selection of American & international beers, unique wine selections and a hand crafted cocktail menu utilizing house made ingredients. You do more than present. Your presentation software should too. 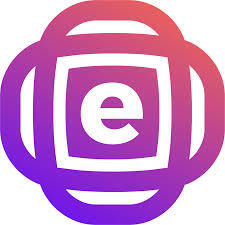 encaptiv’s all-in-one presentation, sales and marketing platform bridges the gap between presentations and business goals – improving engagement, productivity and outcomes through intelligent automation. Tiernan’s has been Stamford’s favorite local Irish pub since 2004. Our menu boasts all your favorites including fresh salads, thin crust pizza, juicy burgers and entrees like Shepard’s Pie, Fish ‘n’ Chips, NY Strip Steak and so much more. Patrons at Tiernan’s enjoy hanging out after work for happy hour with a game of darts or making a night out on weekends ​​with live music every Friday & Saturday night. Come down on Sundays for our brunch and stick around for great sports on our HDTVs. Having a private party? Ask us about catering your event or hosting it here at Tiernan’s! La Perle treats guests to a modern interpretation of the quality and simplicity of Great American Cuisine infused with Caribbean Flavors. 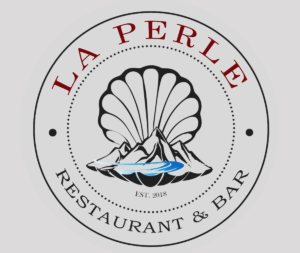 We enhance nature’s local bounty with our progressive approach to global foods and preparation techniques.From the moment you step into La Perle Restaurant, our goal is to provide you with a truly memorable experience. 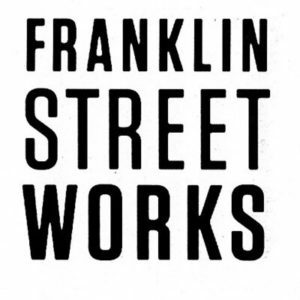 Franklin Street Works is an award-winning, not-for-profit contemporary art space and café that creates original museum-quality exhibitions and engaging educational programs. The organization’s goals include broadening community participation in the arts, contributing to a larger arts dialogue, and cultivating emerging artists. By combining rigorous curatorial work, innovative artistic practices and grassroots community building Franklin street works serves the region while also participating in a larger, international dialogue around contemporary art. We’re friends with one goal: make high-quality, great-tasting beverages with the freshest organic ingredients we can source. In the US, Deloitte LLP and Deloitte USA LLP are member firms of DTTL. The subsidiaries of Deloitte LLP provide industry-leading audit & assurance, consulting, tax, and risk and financial advisory services to many of the world’s most admired brands, including more than 85 percent of the Fortune 500 and more than 6,000 private and middle market companies. Our people work across more than 20 industry sectors with one purpose: to deliver measurable, lasting results. We help reinforce public trust in our capital markets, inspire clients to make their most challenging business decisions with confidence, and help lead the way toward a stronger economy and a healthy society. As part of the DTTL network of member firms, we are proud to be associated with the largest global professional services network, serving our clients in the markets that are most important to them.